I'm always interested in biblical novels. There is something about putting normal, everyday people into the context of some of the great events of the Bible that help to make it all seem more real. 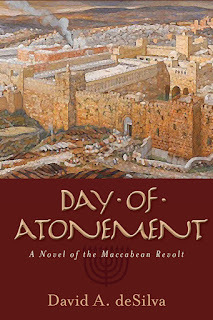 Day of Atonement by David A deSilva, is the story of the Maccabean Revolt. That isn't a time period I know much about. At all. This book starts in 175 BC, and you quickly find yourself jumping between the stories of a few key players, with lots of characters to try to keep straight. I didn't succeed, really, with keeping track of everyone, and wished I had started a cheat sheet to have any sort of a clue as to the significance of what was happening. There is a list of characters in the back of the book, with the ones in bold those who were real historical people. With the descriptions of who those people (real and fictional) are, you wouldn't want to see that list before reading the story, so I certainly can understand why it is at the end. 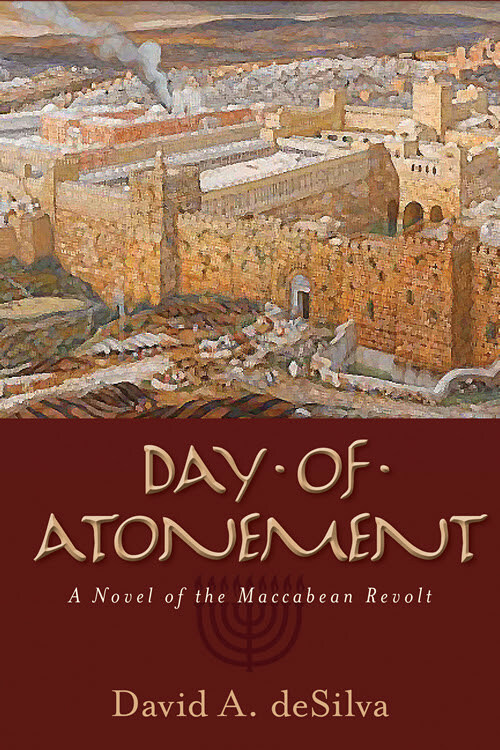 This book totally has me wanting to learn more about the Maccabean Revolt. It sounds like an interesting read, but I think I would probably have to do what you were stating about a cheat sheet on whose who. Thanks for the review. Sorry about the abundance of characters. In the second-to-last edit I worked hard to pare it down to just those essential to the action of each scene, and I agree it still is a crowd. Perhaps I should have suggested that the list of characters be printed as a tear sheet. On the other hand, it's OK to forget most of the characters after they've served their purpose -- and those that are important you'll meet often enough to get to know.